skin: ..:Perle Skin Zoe Medium ~ Frosting Lips:..
Hard to believe but I'd love to win. May you be asking, what? Mon Tissu looking for new bloggers and organized this event to find them. I wear a beautiful Mon tissu mesh pants and a belt always fabulous Mon Tissu. I thought of putting together an outfit with warm colors with an enviroment warm too. The beige color of the belt combined with honey-colored hair and brown bag. We can say a French style , a Paris style. Mon Tissu is the symbol of good style for avatars more refined, but at the same time simple and fresh. skin: ..:Perle Skin Zoe Medium ~ Pink Lips:.. The [s. b] MosaicDress in [black] is NOT available in the mainstore YET, its a prerelease... you can only get it in the next XYROOM round wich starts on September 1st and ends September the 20th! teeth: ..:Perle Skin Zoe Teeth:..
skin: ..:Perle Skin Zoe Medium - No lipstick:..
shoes: Boxset Python_StarDust_Pink Lucky Letter! I want go at school! hair: Pelle - Roberta black hair NEW! 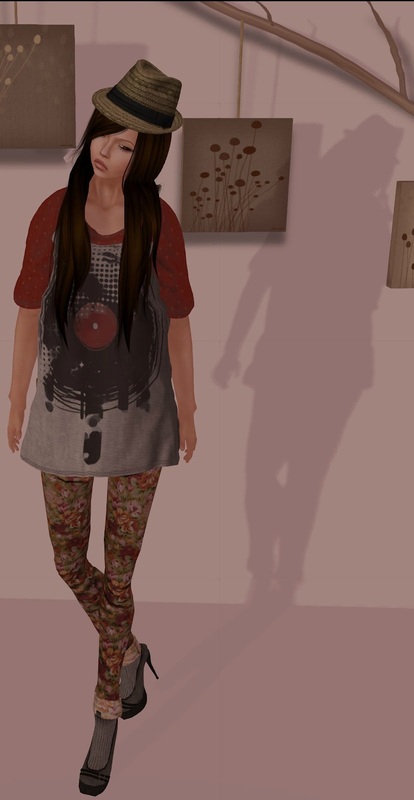 dress: TinRoof Ziggy Shirt(pink) -> ACID LILY GALLERY L$ 60 only for this week!!! shoes: "DEW" Star Flats Purple -> ACID LILY GALLERY L$ 50 only for this week!!! jumpsuit: *BeReckless* Harem Strapless Jumpsuit Blue NEW! skin: *JeSyLilo* :::Amola::: *SunKissSkin*J2 NEW! outfit: $$ - Nytro - $$ Mesh Outfit Skate Girl Black NEW!! skin: .::BeautyCode::. Skin Gabriela - Barbie(A) NEW! skin: ..:Perle Skin Zoe v.2 Sunkissed - Pink Lips:.. I ♥ THIS ..AND YOU? pant: ..::Drunk Devil::.. Coral - Mesh Baggy NEW! skin: ..:Perle Skin Zoe Tan - Pink Lips:..